Our church falls under the local jurisdiction of the Serbian Orthodox Diocese of Eastern America, under the omophor of His Grace, the Rt. Rev. IRINEJ (Dobrijovich). 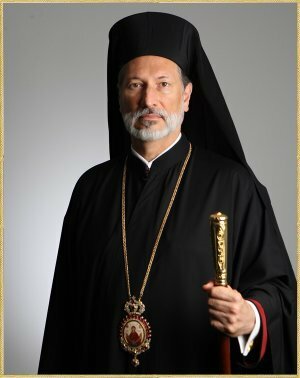 Our Bishop (as well as all our Bishops in America) are also members of the Canonical Assembly of Orthodox Bishops of the United States. 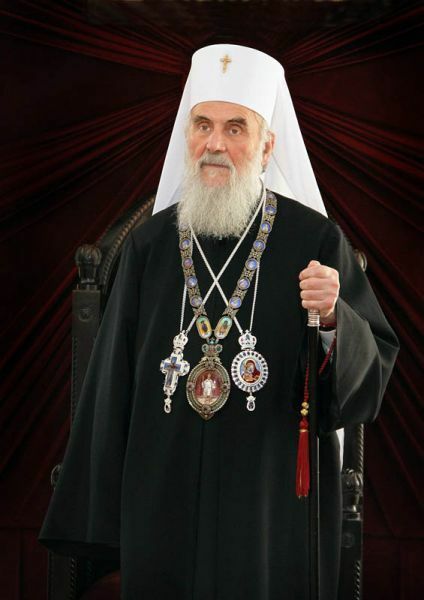 The Patriarch (head) of the Serbian Orthodox Church is His Holiness - IRINEJ, Archbishop of Pec, Metropolitan of Belgrade-Karlovci and Serbian Patriarch and resides in Belgrade, Serbia. The history of St. Sava Serbian Orthodox Church began within the neighboring communities of McKeesport and Duquesne Pennsylvania at the dawn of the twentieth century. After a decade of traveling to a Russian Orthodox Church in Wood Run for Holy Liturgy and the sacraments, a group of Serbian and Russian immigrants jointly purchased a Protestant church building on Hazel Street in McKeesport. The sales transaction for $5,000.00 was signed on October 15, 1900 with both parties agreeing that Father Vladimir Kalnev, whose wife was Serbian, would be their parish priest. As the interior of the Church was being transformed to meet Orthodox liturgical requirements, a disagreement arose between the Serbs and Russians concerning which Saint to whom their new parish should be dedicated. The Serbians were in the majority and the Church was dedicated to St. Sava - Equal to the Apostles and Enlightener of the Serbian People. The Russians withdrew and the membership decided to find a Serbian Orthodox priest. In 1902, Rev. Elijah Komadina became the first of twenty priests to serve the St. Sava parish. The next three decades witnessed the arrival and departure of many priests, sometimes with alarming frequency. In October 1934, Father Milan G. Popovich was elected as the parish priest and arrived with his family on November 1, 1934. He remained until his retirement in 1971. Fr. Popovich is recognized even today for his many contributions to church life as we know it today. Under his guidance, St. Sava prospered spiritually, socially and academically. Volumes have been written about his impressive history as a choir director, educator, scholar and spiritual leader. "Popo" was the inspirational force in all phases of building our present Church, located at Hartman Street in McKeesport. His deeds are legendary, his memory eternal. Today, our parish is under the loving Pastoral Leadership of the Very Rev. Stavrofor Stevan (Stevo) Rocknage, who came to us in 1988. Fr. Stevo is the 20th priest in our illustrious history, and only +Fr. Popovich has been here longer. Fr. Stevo, a former Professor of Psychology and Therapist, has tried to utilize his talents to help bring the faithful of St. Sava to Christ, and has helped reenergize the Youth of the Parish, and enlighten many of us through his Education Classes, and Parish Renewal Days,. In October 2001, the Church-School community of St. Sava celebrated is 100th Anniversary. Ours is the oldest parish in the Eastern United States and is the third oldest Serbian Orthodox Church in the United States. In October, 2011, we celebrated our 110th Anniversary by having our new Icon-Windows blessed by our Bishop Mitrophan. Celebrating the blessings of our long history, our community contnues to thrive, ready to meet the challenges of the 21st Century with an attitude of youthful optimism and a commitment to spiritual renewal and growth in our Lord and Savior Jesus Christ.